Described as ‘an inspiring example of forward-thinking classical music culture’ (CutCommon), Ensemble Three takes in influences from genres as diverse as jazz, popular, avant-garde and traditional classical. The ensemble’s innovative programming and engaging presentation style has earned acclaim from their concerts in Australia, Asia, and the U.S.A., as well as Melbourne Recital Centre’s Contemporary Masters Award. Undercurrents combines new works in a program that explores fragile and subtle textures alongside more robust sound worlds. 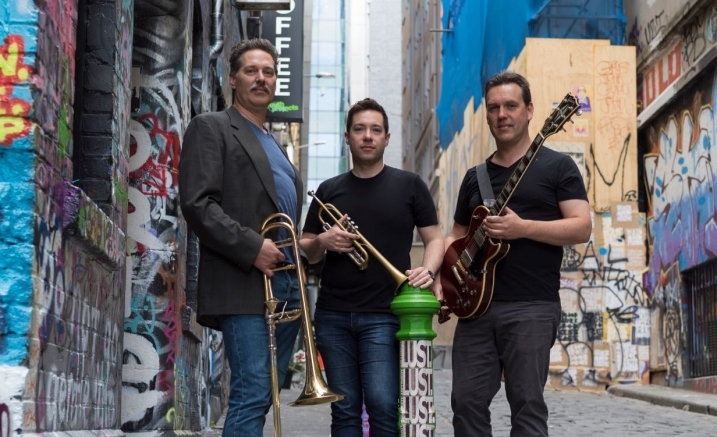 Drawing inspiration from the natural world, the timbres of trumpet, trombone and electric guitar are woven together with live sound manipulation.